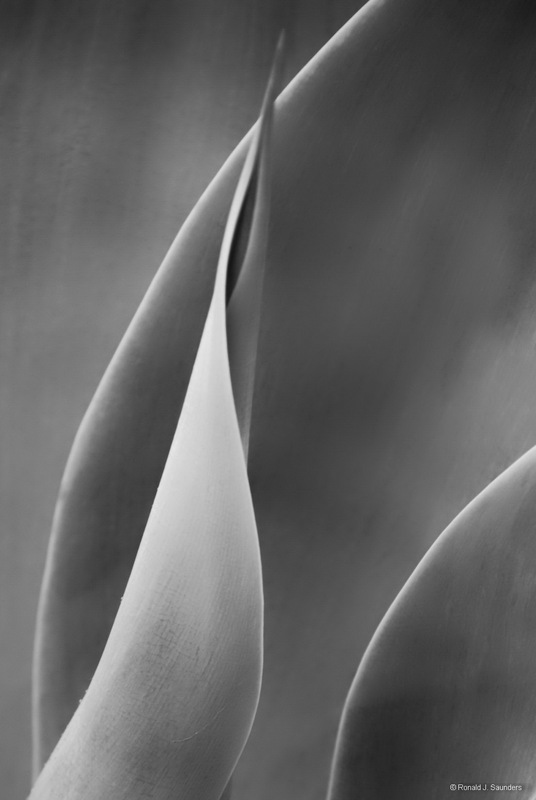 The Yucca is a delight to photograph because of its form and symmetry. The key is to find clean and unmarked leaves. Either color or black and white prints will create a peaceful image for any environment. Photo © copyright by Ronald J. Saunders.